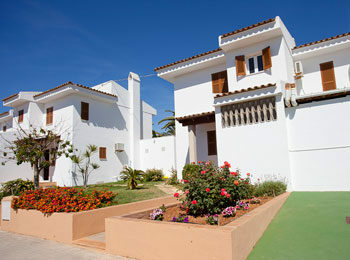 Typical Mediterranean Villas in design and decor, the Cristina Apartments can be found in a residential area close to the centre of Cala Millor. These popular apartments are great for families and couples of all ages. They offer comfortable accommodation with a friendly family atmosphere and a professional team to help you enjoy your stay. Our Animators are there to entertain our guests during the day with a wide selection of activities, which include water sports, table tennis, darts and the children are well taken care off at the Kids Club. At night both children and adults are entertained with a variety of funny games and at least once a week there is a professional show to top off the end of the week. Apartments consist of one bedroom with two single beds and a camp bed in the living room. 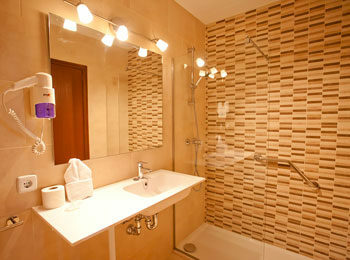 There is a full bath room, the livingdining room has TV satellite and air conditioning and contains a galley kitchen. The kitchen includes a fridge, microwave, two electric rings, electric kettle and toaster. All of these types of apartments are located on the second floor and have a balcony and terrace. 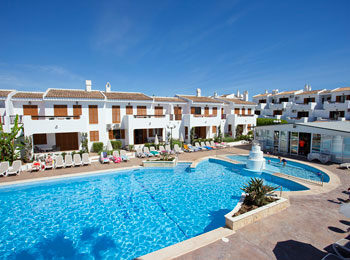 The villas are surrounded by wellkept gardens which encompass' the large swimming pool and sun terrace. 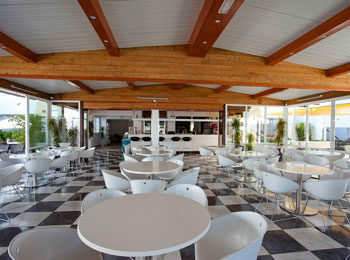 In this area can be found the Restaurant, the Snack Bar and the main Bar. Also for the children we have a sandy play area, a games room and a small sports pitch. very quite,clean hotel. relaxing good pool area. 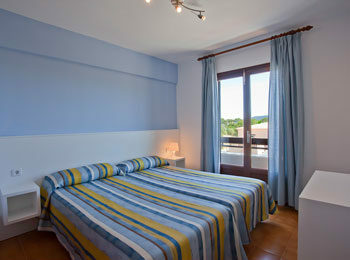 although room was basic it suited our holiday needs. Quite a lot of steps to some rooms though. food good for the price. We had booked a double bedded studio but were given a 2 double bedroom apartment on arrival. The property was on an elevated position but we were informed of this before hand and so were prepared. The Christina studios were great, nice people, friendly and clean. Would definitely stay there again.